The Major League Baseball regular season has just opened its 162-game schedule and what better time than now to update the futures on Bovada, sportsbook.com, topbet and betonline for the World Series and to take an look at one of the National League’s perennial top teams that is currently a long shot to win the title. The Atlanta Braves have not been one of the World Series favorites on futures boards this season, as have the Los Angeles Dodgers, St. Louis Cardinals and Washington Nationals. The injuries the club has had with their starting pitchers will likely make it difficult for them to reach the Fall Classic. Prior to the start of the season, most books had the Braves in the mid-teens, while in the latest round of futures for the World Series they are now 20 to 1. The win totals for Atlanta have fallen from a previous 87.5 to just 86 at Opening Day. Injuries to Brandon Beachy and Kris Medlen have created lower expectations of success this season. While to two are strong pitchers, it is not like they were losing a Clayton Kershaw or Stephen Strasburg, the kind of players who can dominant in every game they play. Once they find a set rotation for the season, it should include the likes of Mike Minor, Julio Teheran, Alex Wood, Aaron Harang and Ervin Santana. Craig Kimbrel, who is thought by most to be the most dominant closer in the league, still lurks in the pen, turning most close games into just an eight-inning night. So, is it worth taking the Braves at 20 to 1 to win the World Series? Some bettors must think so as sportsbooks such as topbet and betonline have been had bettors take a chance on Atlanta. With everyone so worried about the Braves starting rotation, little has been discussed about how strong the offense in Atlanta is. That is not even taking into consideration that Dan Uggla and B.J. 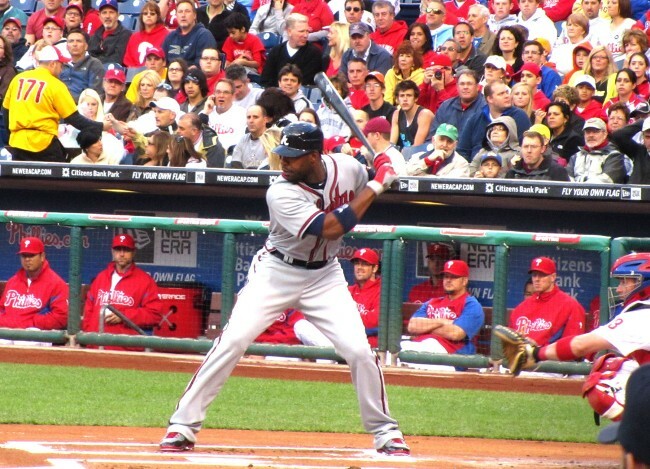 Upton should bounce back from poor seasons. Jason Heyward was strong in the second half of last season and should carry his success of the second half to a breakout season this year. Of course, he will have plenty of supporting cast with Justin Upton, Freddie Freeman, Evan Gattis and Andrelton Simmons. The season however, is very long and even with a strong offense, the starting rotation could fall apart in Atlanta if any other injuries creep up on the staff. 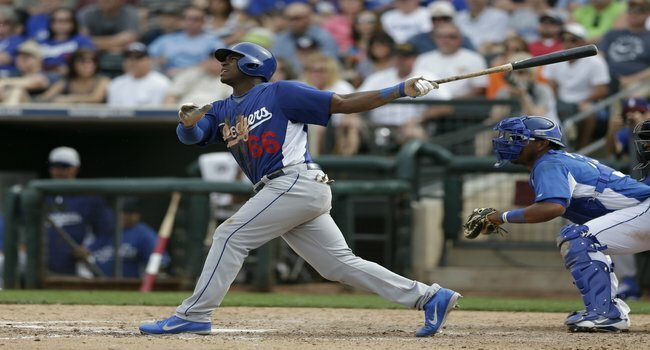 Puig, shown here in Spring Training, has been excellent since joining the team 19 games ago. If any professional sports league is like a roller coaster it has to be Major League Baseball. America’s Pastime (arguable I know) starts with such excitement and promise for every team in the league in late March or early April and then goes through ups and downs that only the folks at Disney World or Six Flags could relate. Baseball immediately shares time with college basketball’s Final Four and then gets some attention. Eventually the playoffs in both the NHL and NBA begin and baseball gets pushed to the back burner but before too long, the seasons end and baseball becomes the only game in town until NFL training camps open in late July. If you’ve been sleep-walking your way through the baseball season because of your attention paid to hockey, hoops or horse racing, then I’m here to catch you up on what’s going on in the Majors. 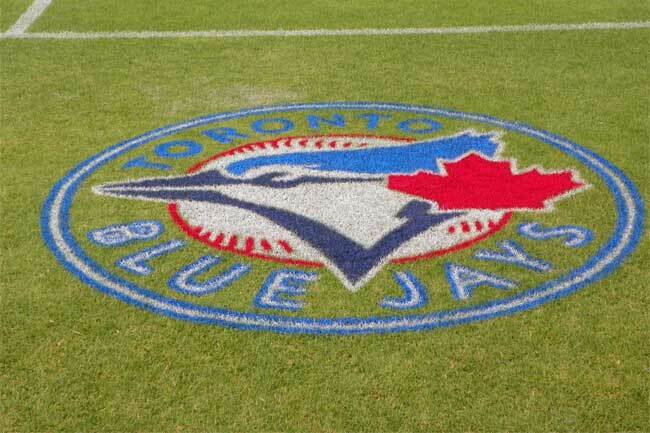 The hot Blue Jays have made the AL East the tightest and best division in baseball. Best Division – Without question the American League East is the most competitive top to bottom especially with Toronto on an eleven game winning streak heading into play last night. All five teams in the division are separated by five games with Boston on top of the Orioles by two games, the Yankees by 2.5, and the Jays and Rays by five. I honestly don’t think you’ll see a lot of movement in this division through the summer and into September because each team has flaws that aren’t going to be cured by a trade or two at the deadline. New York could get a boost from Derek Jeter’s return but when that is is anyone’s guess. Despite losing three of four in Detroit, Boston may still be the team to beat in the East. Worst Division – Coming in ahead of the AL Central is the National League East where only Atlanta is above the .500 mark as they lead second-place Washington by six games and Philadelphia by 7.5. The Braves don’t really do anything amazing but they pitch extremely well and seem to get big hits when they need them most. The Nationals have to be the most disappointing team in baseball right now as they sit at 37-38 heading into last night’s action. I certainly don’t know everything going on there, but I would not be a bit surprised to see a significant change either in the clubhouse or on the field because there is too much talent for this team to be where it is. Breakout Player so Far – Since joining the Dodgers 19 games ago, Yasiel Puig has set the Majors on fire. The 6’3″ 245lbs outfielder looks as athletic as any player I’ve seen come up in a long time and the results are validating that. Puig is hitting .425 with six home runs and 12 RBIs. His on-base percentage is also solid at .462. Unexpected Cy Young Candidates – When you think the Detroit Tigers and pitching, you think of Justin Verlander but not this year. RHP Max Scherzer is 11-0 and has a WHIP of .91 for the Central-leading Tigers. While his 3.05 ERA is a little high, it’s actually below his career average of 3.76. Clay Buchholz of the Red Sox is a strong contender in the AL as well. Over in the National League, 23-year old Patrick Corbin of the Arizona Diamondbacks is 9-0 with an ERA of 2.19 and a WHIP of 1.00. While Lance Lynn, Jordan Zimmerman and Adam Wainwright are all at the 10-win plateau, should Corbin continue his unbeaten season he;ll be hard to beat at awards’ time. Darvish is 6-1 for the first place Rangers. It’s often pushed to the back burner this time of year but Major League Baseball has five division races right now that are worth paying a ton of attention. With the National Basketball Association and the National Hockey League each deep into their playoffs, it’s often easy to forget that baseball is still going on. With the excitement of opening day long over, baseball has started to find its’ groove in the 2013 season and we as fans are the beneficiaries of some really good stories and some tremendous races. Yes, it’s only May but if history tells us anything then these races look to be ready to go the distance. Out in the American League West, the Texas Rangers have opened up a seven game lead over both Oakland and Seattle. Sitting eleven games back is one of the pre-season favorites in the Los Angeles Angels of Anaheim. This is the only race in Major League Baseball that sees a lead bigger than two games. AL West Prediction: Go with the Rangers and don’t give it another thought. In the AL East, you have to hand it to the New York Yankees who continue to overcome injury with good pitching and outstanding relief pitching behind the incredible Mariano Rivera who is 16 for 16 in save opportunities this year. Not bad for a guy over 40. Baltimore and Boston are both two games back while the Tampa Rays sit four and a half deep. AL East Prediction: The way the Yanks are playing right now gives them more time to bring Derek Jeter back. This will ultimately come down to who is healthiest down the stretch. I’m actually going with the Orioles to claim the division. The American League Central is shaping up to be a tremendous race and one that really was not expected. Heavily favored Detroit has three teams within three and half games and the White Sox are just five games out. The longer the Tigers allow the Indians, Royals and Twins to hang around the more doubt will creep in. AL East Prediction: If the Tigers fail to make the playoffs it will be a tremendous failure. They have too much talent to not win this division but I just don’t see them running away because of their weak bullpen. Harvey has been one of the few bright spots for the Mets. Over in the National League East, Atlanta has cooled off significantly since their hot start but still leads the Nationals by a game. To the surprise of many, the Phillies are hanging in there and sit just three and half games out of first. The New York Mets are six games out and are getting a great year on the hill from Matt Harvey, but the rest of the team is struggling. NL East Prediction: I like the Braves, but I also like the pitching of Washington and I see them over-taking the Braves at some point. Do not count out the Phils just yet though. The amazing St. Louis Cardinals lead the NL Central by two games over Cincinnati and three games over the Pittsburgh Pirates. The Cardinals always seem to be left for dead in the seasons following Albert Puljos’ departure, but here they are again behind great pitching and timely hitting. The Cubs and Brewers are sadly already planning for next year as they both sit nine games out of first. NL Central Prediction: The Cardinals have such a nice mix of pitching and hitting that I have a hard time seeing them relinquish the lead, but Cincy will push them. And finally in the NL West, the defending World Champion Giants lead Arizona by a half game and the Colorado Rockies by two. San Diego is four and half back and the Los Angeles Dodgers are five and a half deep. The surprise here has to be Colorado who most experts never saw coming. A tip of the cap to San Diego as well, but the Rockies have just not shown any signs of going away. NL West Prediction: The Dodgers have Zack Grienke back now and he looked good in his return, but I still like the Giants to take the division. We knew the Atlanta Braves would field another consistent winner this year, but we didn’t know they were this good. 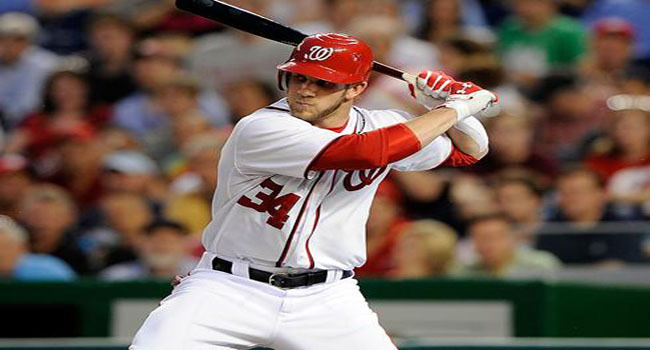 After completing an impressive road sweep of the Washington Nationals over the weekend, the Atlanta Braves improved to 11-1 on the season, having swept three consecutive series to begin their 2013 campaign. And they haven’t eked out their wins either, as they’ve outscored opponents 62-23 and outhomered them 20-6. The Braves got a nice mix of stellar pitching and solid hitting during Sunday’s 9-0 win over the Nats, padding their early season stats. Justin Upton homered for the seventh time already this year and Paul Maholm pitched another gem, allowing just four hits and no earned runs in his third win of the season. After dropping the series to Atlanta, the Nationals are now 7-5 on the year. The Nats are still considered the overall favorite to win the NL East and one of the favorites to win the NL, but with Atlanta playing well, we will likely see those odds change – if only slightly – soon. Of course it’s still early in the season, but Washington has continued to struggle against its AL East foe, losing seven straight games dating back to last year. If the Nats want to win the East again, they’ll going to need to find more success against teams in their own division. Meanwhile, the Braves are looking like a complete team that could contend in the NL themselves. They are getting great production, both at the plate and on the mound. We’ll just have to see if they can maintain the level of play they’ve established so far, though we expect it should dip at least a bit (no team stays this hot forever). Atlanta will look to win its 10th straight game today, as it takes on the Kansas Royals at home. Kris Medlen will take the hill for the Braves in his third start against Jeremy Guthrie, and though Medlen was saddled with the lone Braves loss earlier this month, his 1.50 ERA tells the Royals that they better bring their A game to the ballpark today. You could say the Braves are due for a loss, but as long as they keep winning, it’s impossible to bet against them. 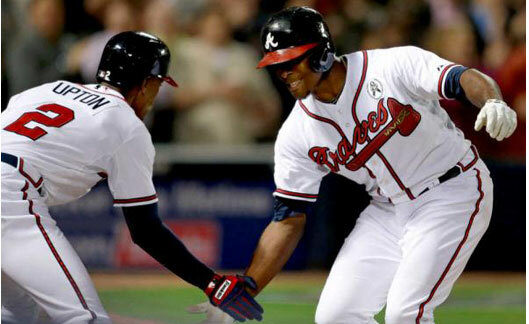 Stick with the MLB’s hottest team and take Atlanta to cover -1.5 today at home. The postseason is finally here and after much tinkering in the light of Wednesday’s epic final day of the season, bookmakers have released their League pennant and World Series odds. Surprising to some, less so to other, New York, Cincinnati and Washington lead the pack, with a three-way tie in World Series odds. Of course, all of this will change quickly after tonight’s Wild Card games. Here’s a breakdown of each of the 10 postseason teams looking to lift the Commissioner’s Trophy before the month is out. AL East champs New York are favorites to win the pennant and joint favorites (with Cincinnati and Washington) to win the World Series. The Yankees can make good use of the best home record in baseball as they have homefield advantage through the ALCS. The National League’s All-Star Game victory means the Yanks will play the road schedule should they make the World Series. New York has a winning record this season against all postseason teams, excluding Cincinnati (1-2) but hasn’t played San Francisco and St. Louis. The Yankees are favorites to take the American League pennant and joint favorite (with Cincinnati and Washington) to win it all. The Tigers practically snuck in the back door to get to the postseason but as they say, it doesn’t matter how you got there. The Tigers have shot up oddsmakers polls thanks in part to Miggy Cabrera’s historic Triple Crown achievement. Detroit is well set to start off Saturday’s ALDS with Oakland, with Justin Verlander and Max Scherzer ready to go in the home leg of the series. A 4-9 record over the last two weeks of the season damaged Texas in the eyes of the oddsmakers as well as hurling the Rangers into a one-game Wild Card playoff with Baltimore. The team that led the American League for so much of the season faltered at the wrong time. A win over the Orioles on Friday will put everything back on track, sort of. The Yankees await and Texas didn’t exactly make a good showing off themselves in last month’s four-game set between the two. It seems that oddsmakers are yet to believe the magic that’s transformed Oakland from a bottom of the table team to AL West champs. A young pitching staff and a roster of no-name vets and youngsters may not look appealing on paper, but the A’s have played the best baseball in the league since July. Betting against that ending now could be a mistake. Despite an astounding season that has seen the Orioles make the postseason for the first time since 1997, oddsmakers don’t like Baltimore’s chances, either in this Friday’s Wild Card game or going forward. Up against Yu Darvish, who has played his best ball over the past month or so, the Orioles are underdogs in Texas and from here on out. The Cincinnati Reds are marginal favorites to win the National League pennant ahead of Washington and San Francisco. Despite the Nationals finishing with a better record, and one that included a 5-2 edge in the head-to-head, oddsmakers like Cincinnati’s chances of taking the NL pennant more than Washington. Perhaps it’s the Stephen Strasburg effect. Perhaps it’s the solid pitching of Jose Cuerto. Perhaps it’s that San Francisco may be considered an easier series than Atlanta (if they may it out of the Wild Card). Whatever it is, separating the Reds and Nats has been a difficult task all season and isn’t about to get any easier now. With both the best record and road record in baseball, you’d expect Washington to be favorites heading into the postseason, but it hasn’t been straightforward for the Nationals this season, despite such an impressive record. Atlanta has loomed all season, and holds a 7-8 win in the head-to-head stakes, whilst both the Yankees and Orioles have bettered the Nats outright this season. If hanging in there has been the theme of the year, expect more of the same this October. Somewhat forgotten in the drama of the last few days of the season, San Francisco enters the postseason quietly but with more than a few aces up its sleeve. After Melky Cabrera’s high-profile suspension, the team pulled together and ousted the Dodgers on the way to an impressive NL West win. But the Giants face a tricky path. They’ve lost head-to-heads against both Washington and Cincinnati this season whilst tying with St. Louis and beating Atlanta by just one game. If they make it out of the NLDS, whoever they face will be a tough outing. Still, how many people are rooting for the first Bay Area World Series since 1989? Without the earthquake of course. Sometimes teams find themselves in the wrong division. Atlanta played well enough this season to win a division, but Washington’s surprise season put a stop to that. The Chipper Jones farewell tour now takes in a Wild Card game with St. Louis before potentially making its way back to Washington. Despite playing tough, Atlanta doesn’t have a good record against teams in the postseason, except St. Louis (5-1) and Washington (8-7). That’s handy then. The Braves certainly have the experience to go far, and if they make it out of the Wild Card round you can expect those odds to be slashed. Underdogs last year, underdogs again this year. St. Louis played well enough to make the postseason, they just had to wait for the trailing pack to, well, trail off. Up against Kris Medlen and the Braves in the Wild Card game on Friday, things don’t look good for the Cards, but this is a team used to upset wins. The Birds have played Cincinnati, Washington and San Francisco tight this year, so if they do manage to upset Atlanta, there may be no limit to what is achievable this year, just like last year. It’s Thursday night. What are you doing? Are you watching football? Are you prepping for the beginning of the MLB postseason tomorrow? Or are you twiddling your thumbs waiting for the NHL to pull its finger out? Okay, nobody’s doing the latter. However, if you are missing out on some hockey action, head over to Bovada for some playful props. Ask yourself: will the Oilers go to Seattle? Is Pat LaFontaine crazy enough to buy the Islanders? And what’s the good of being favorites to win a league that probably won’t play (again) this year? The Penguins would love to know the answer to that last one. Football’s back tonight with NFL and NCAA matchups. We’ll look at both below. Then, after yesterday’s stunning season finales, we’ll take a look at the Wild Card matchups on tap for Friday. Kevin Kolb and the Arizona Cardinals look to make it 5-0 on the season with a visit to the St. Louis Rams. The St. Louis Cardinals meanwhile are down in Atlanta for postseason play. Preseason, this particular edition of Thursday Night Football looked dead in the water. An AFC West matchup not involving San Francisco? Why bother? Hands together then for Arizona (4-0) making this one a little more interesting. The Cardinals, who were frankly underrated prior to this season, will look to nudge to 5-0 with a win over St. Louis (2-2). History suggests that’s exactly what will happen, with the Cards having taken the last eight road games in this fixture. St. Louis – far from off to a bad start – could play spoilers, although oddsmakers think otherwise. Arizona opened as 2 ½-point favorites, a number that has fallen to 1 ½. Nearly 64 percent of bettors have followed suit. The over/under is 39 ½. Take: ARIZONA — The birds will win another close one (three games this season have been decided by four or fewer) and enjoy being amongst the ‘elite’ for another week. Remember when you wrote USC off? It was three weeks ago after that loss to Stanford. Well, #13 USC is looking to make another run at those polls and a National Championship. After beating Cal two weeks ago, the Trojans (3-1, 1-1 Pac-12) have had an extra week to prepare for its first trip to Utah (2-2, 0-1 Pac-12) in 95 years. If we learnt nothing more than Washington’s Thursday night win over Stanford last week, it’s always to expect the unexpected. Except in this game. Take: USC — The Trojans will make short work of Utah and begin to ascend the ranks again, beating the 14 ½ spread in the process. Whether it’s too late for a National Championship remains to be seen. 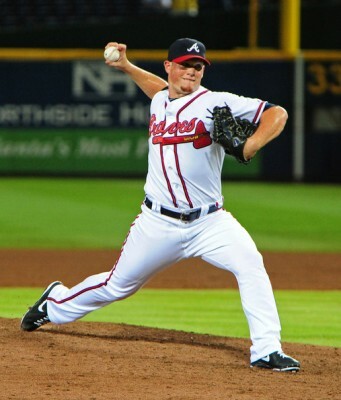 Kris Medlen will go for the Atlanta Braves as they host St. Louis in the inaugural NL Wild Card playoff game. 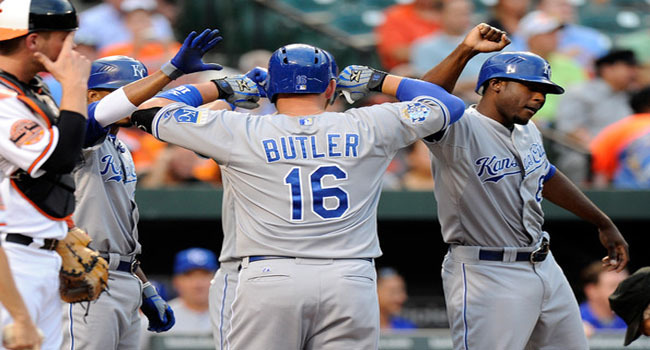 Whilst you’ve got the football on, remember to start making your picks for the MLB postseason. Oddsmakers are still working on the ins and outs of odds as I write this, but expect the Yankees to enter as favorites. Of the nine other teams involved in the postseason, only Cincinnati has a winning record against the Bombers this season, although San Francisco and St. Louis have yet to face the 27-time world champions. Before that though, Atlanta (94-68, 48-33 home) hosts the Cardinals (88-74, 38-43 road) at Turner Field on Saturday. This one looks like a cakewalk for the Braves, particularly when you factor in Atlanta’s 5-1 advantage over the Red Birds this season and St. Louis’ less than stellar road record. But then again, upsets were made for games like this. Still, Atlanta is favorite with 80 percent of bettors taking that action. Take: ATLANTA — Because the Braves simply don’t lose when Kris Medlen (10-1, 1.57 ERA) is on the mound. Over in the American League, Baltimore (93-69, 46-35 road) travels to Texas (93-69, 50-31 home) for the one-game Wild Card playoff. The O’s perhaps would have preferred hosting this one – something Wednesday night’s loss to Tampa Bay made impossible – but in fairness the Maryland club hasn’t had the best of seasons against the Rangers. Texas is 5-2 against Baltimore, including a 2-1 record in Arlington. But emotions could play a huge part in this one. How are the Rangers going to feel after allowing the AL west crown to slip away? How is the team – favorites to take the World Series just a week ago – going to cope with the knowledge that it’s do or die? 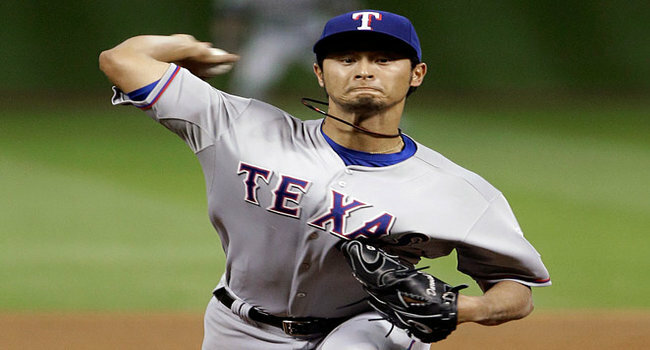 Will Yu Darvish (16-9, 3.90 ERA) cope with the pressure? Who will pitch for the O’s? There’s just about as many questions to answer here as there was going into the last day of the season. One thing we do know is that the New York Yankees lay in wait. Take: EITHER — This one’s as good as flipping a coin. Yes, you can imagine all of Texas’ hard work unraveling and the Orioles continuing their surprising season, but you can also imagine Texas using this as motivation in the same way St. Louis did last year, leaving the Orioles to wonder ‘what if?’ until spring rolls around. Need a pick? Okay. Go with…Texas. Postseason experience pays off in the end.